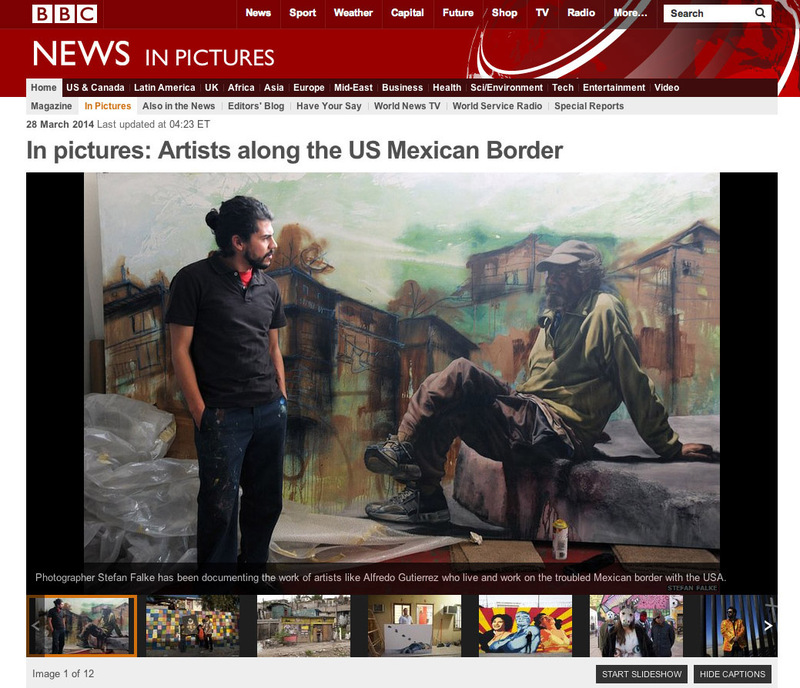 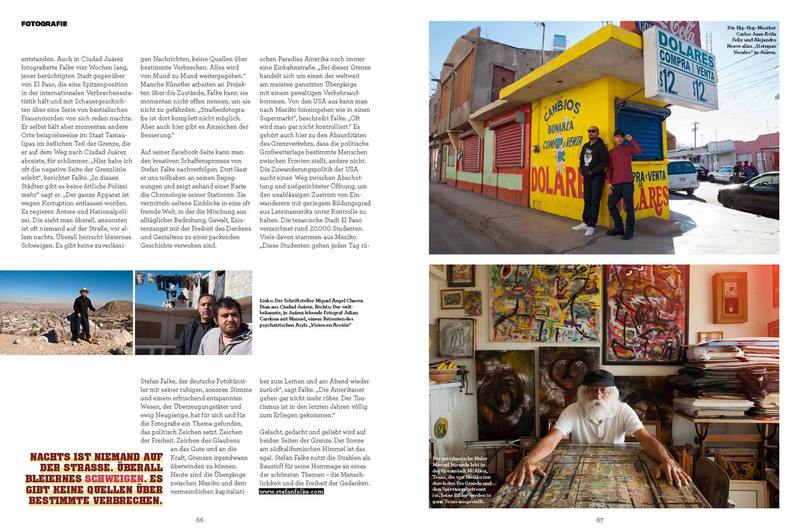 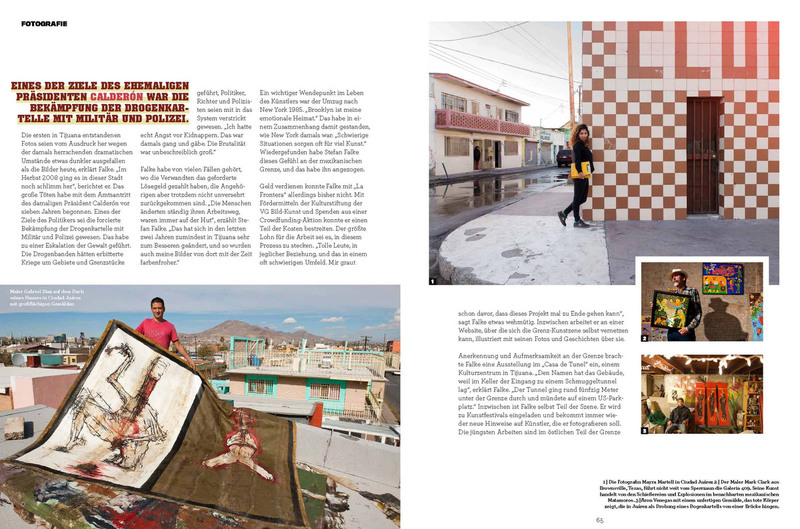 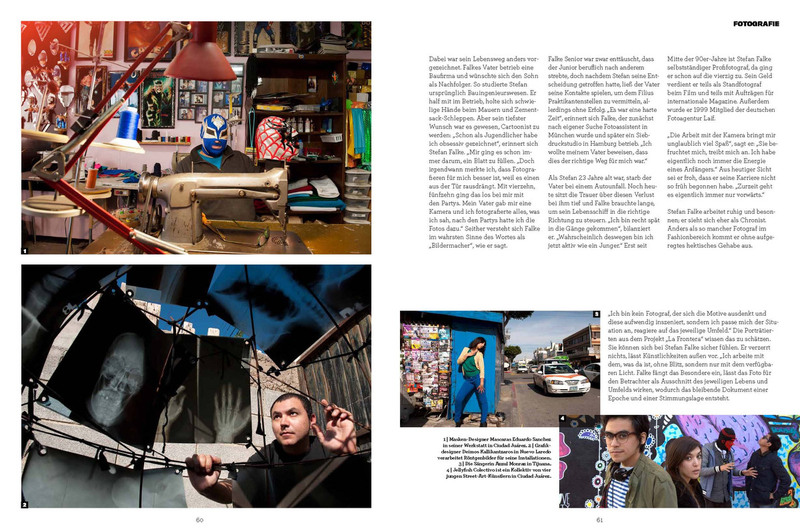 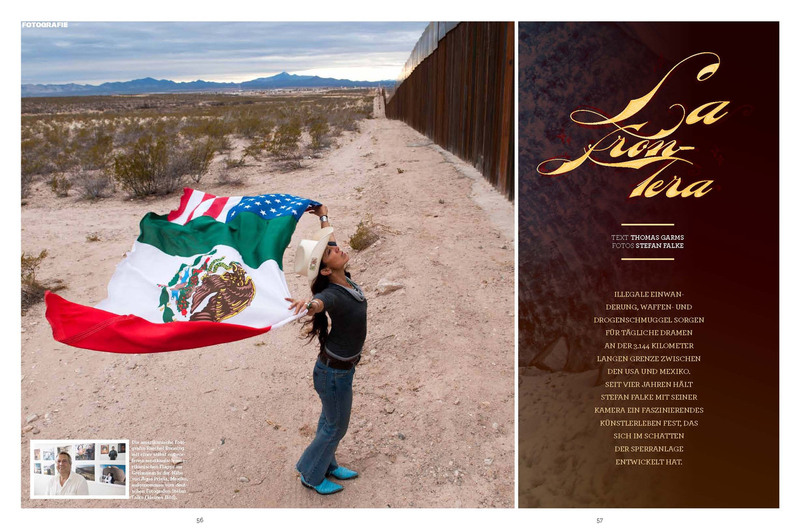 My photo of photographer Tochiro Gallegos in Reynosa, Mexico, in TOPOS magazine. 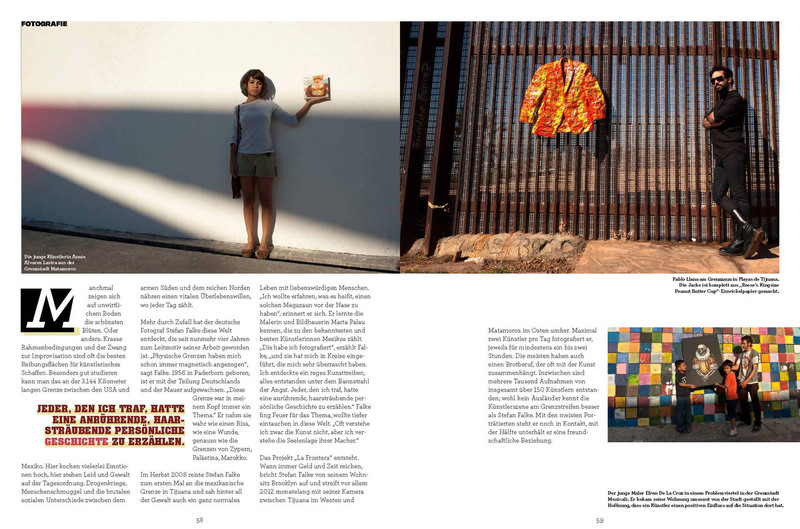 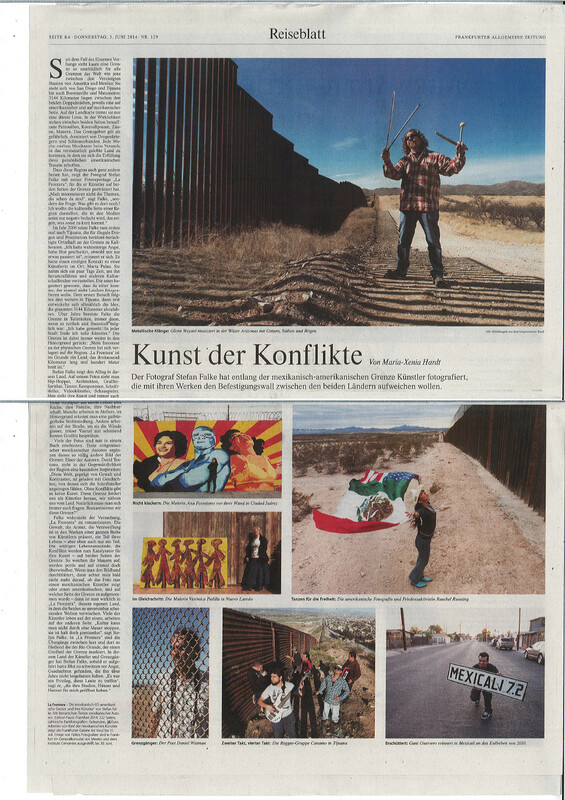 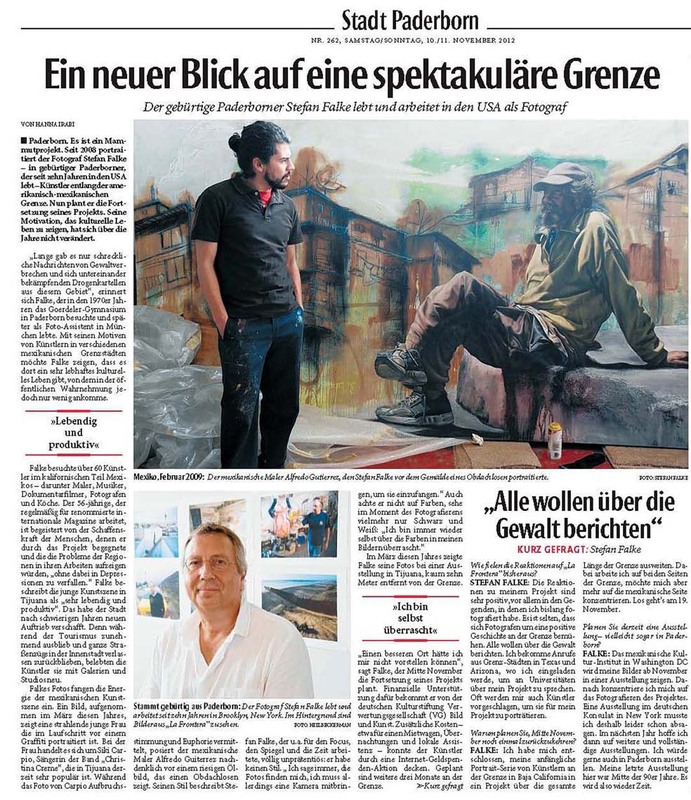 My book about artists along the US-Mexican border will be published in Frankfurt, Germany, on May 6th by Edition Faust, 232 pages. 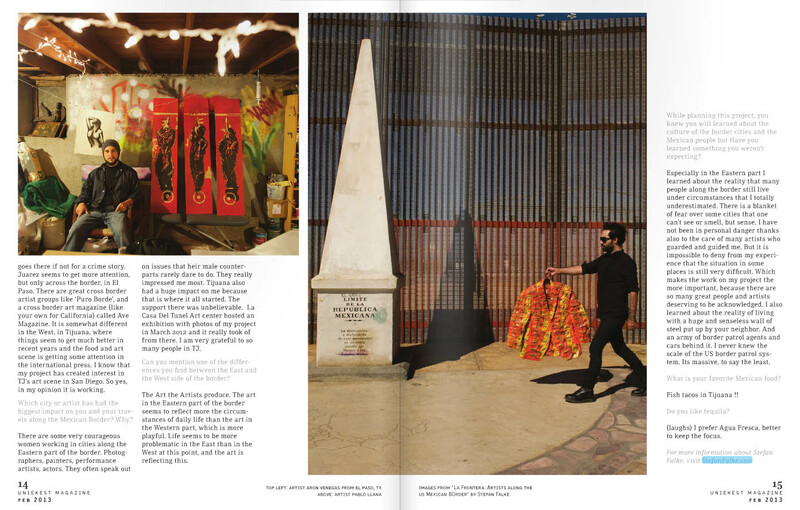 For this project I documented the cultural activities in what used to be some of the world’s most dangerous cities along the US-Mexican border. 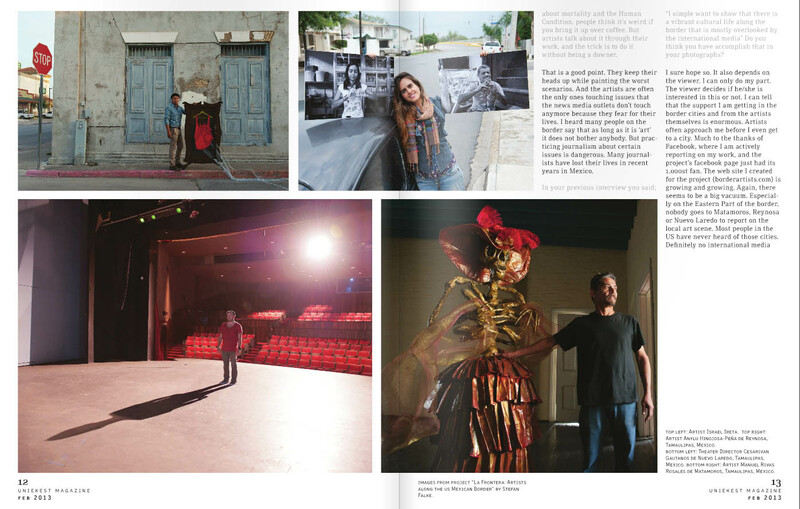 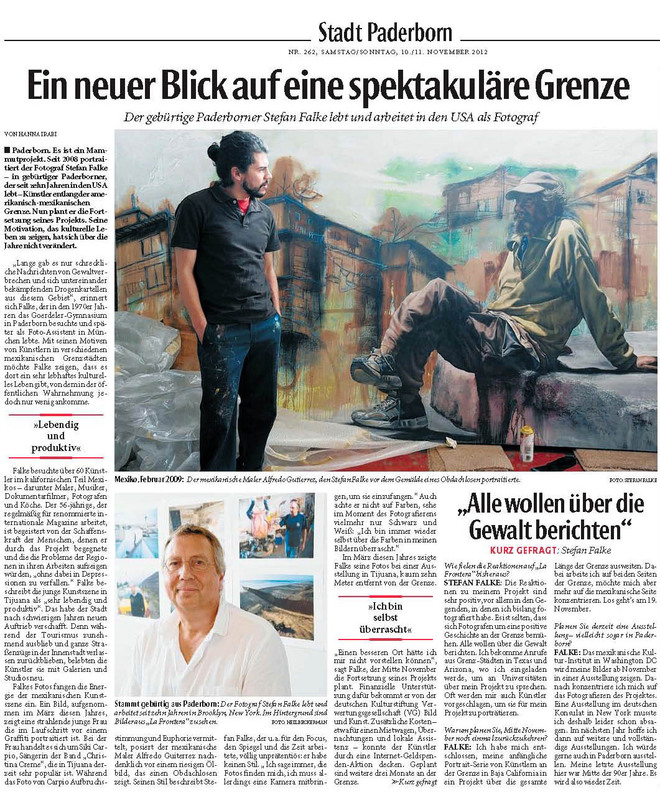 I photographed 180 artists and art supporters along the entire 2000 miles long divide to show the vibrant cultural side of a region that is usually portrayed by the international media with the sole focus on violent crime. 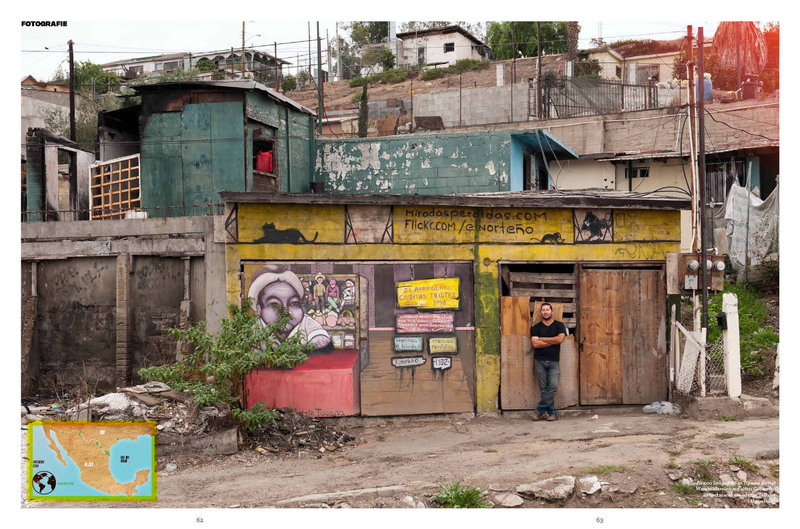 The book has 180 photographs, the texts are in German and Spanish. 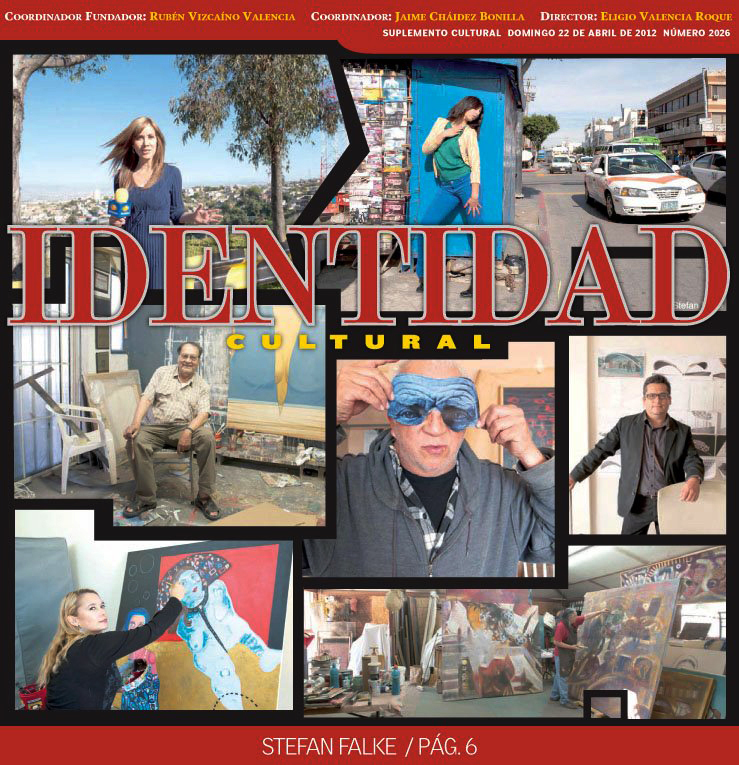 The introduction was written by New York based journalist Claudia Steinberg. 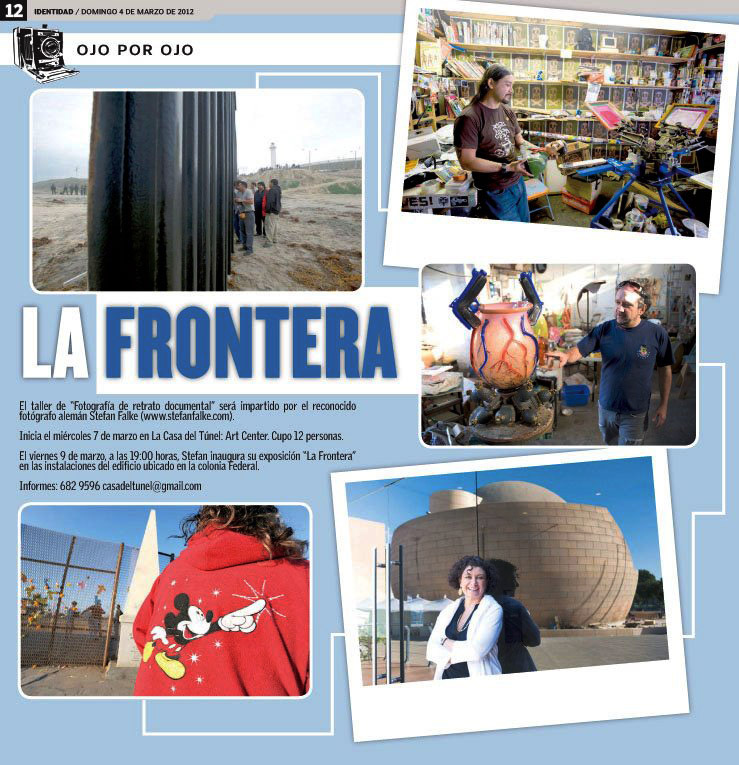 With Texts by Claudia Bodin, Orfa Alarcon, Dolores Dorantes, Rogelio Guedea, Yuri Herrera and David Toscana. 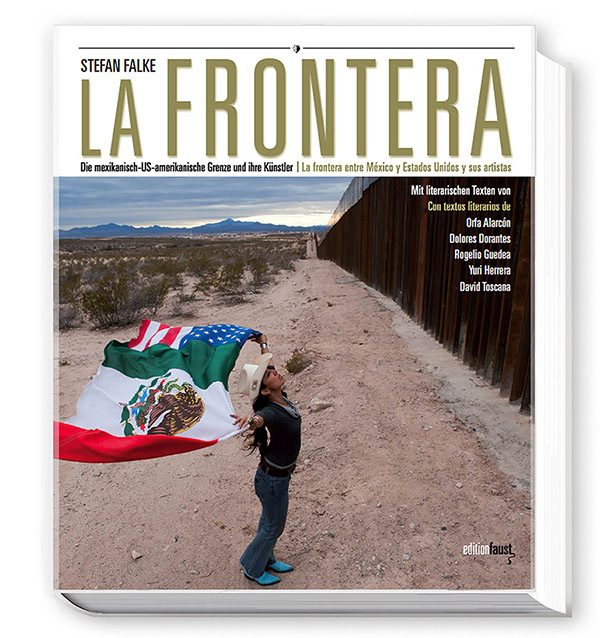 On the cover: photographer and activist Raechel Running at the border in Agua Prieta, Mexico. 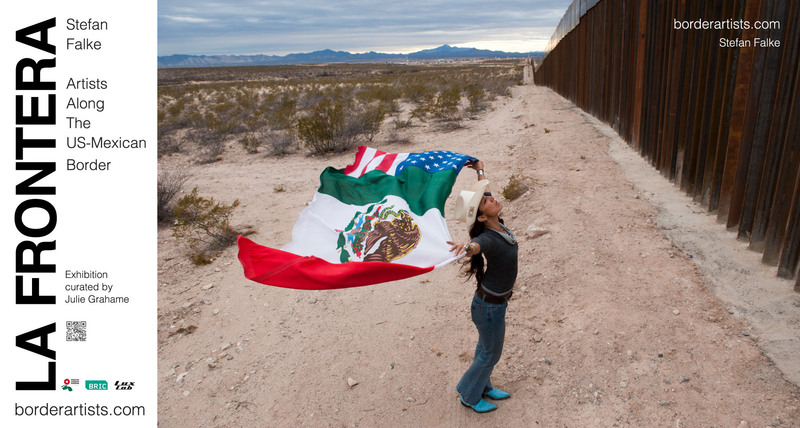 I am very pleased to announce the La Frontera exhibition at Photoville 2014, New York’s premier photo destination !! 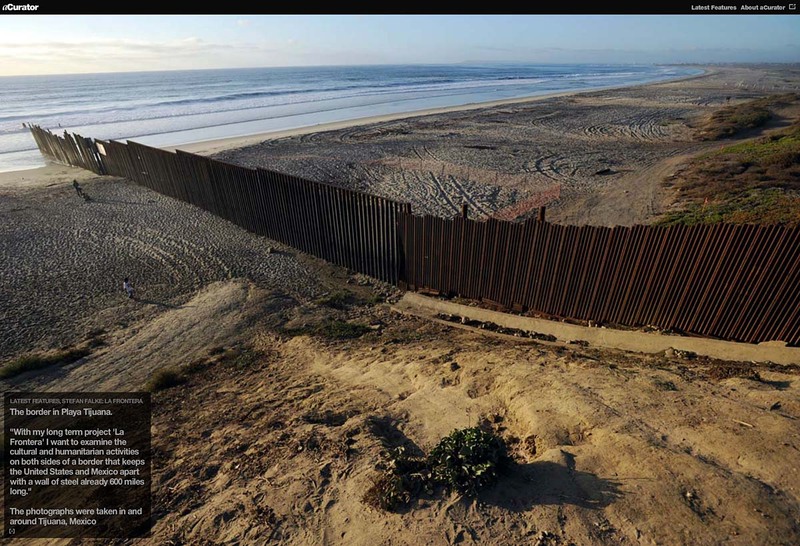 “Housed inside (and out) of repurposed shipping containers, Photoville 2014 will present more than 50 photo exhibitions & outdoor installations in partnership with a carefully selected group of programming partners from around the globe. 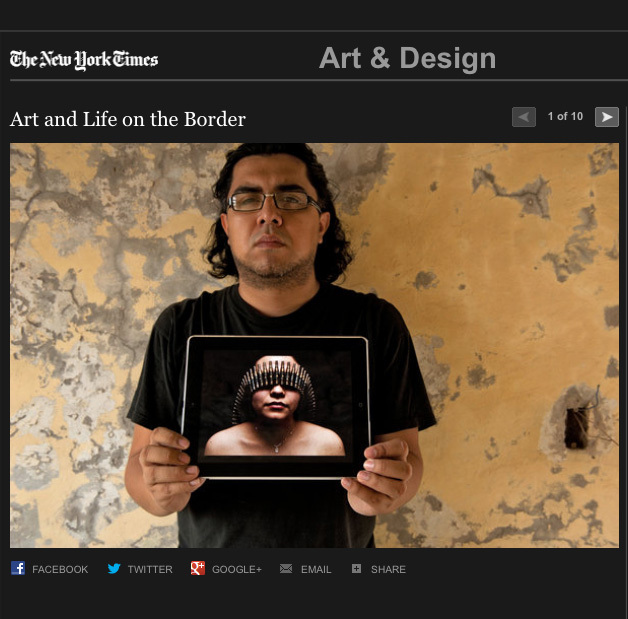 Addressing a wide range of issues, Photoville is a unique venue for photographers and audiences to connect through the power of visual storytelling. 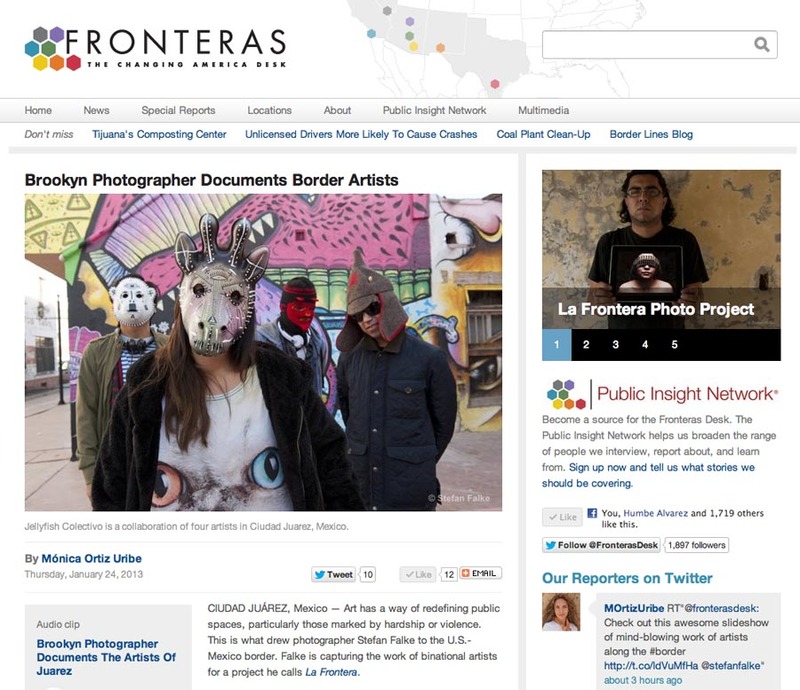 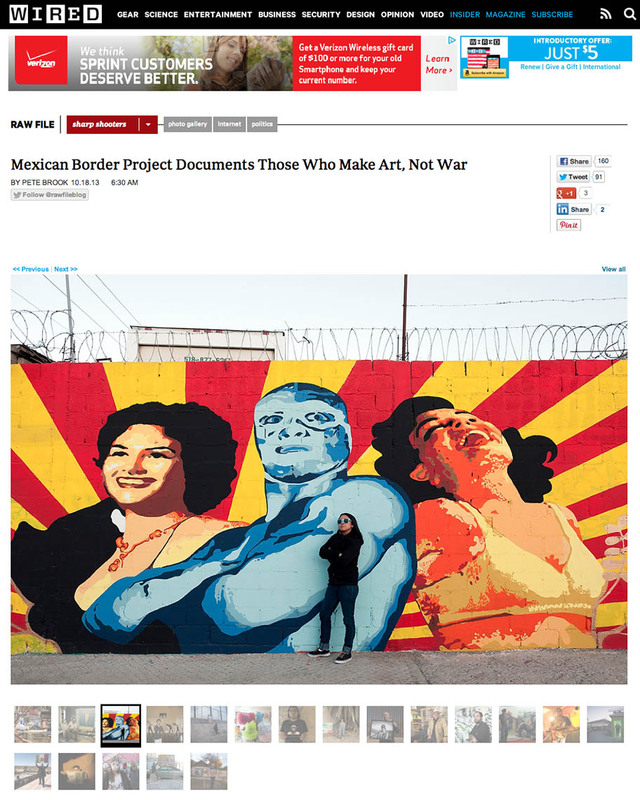 The La Frontera exhibition @ Photoville is supported by The Mexican Cultural Institute of Washington DC and New York, BRIC Media House Booklyn and Luxlab, New York. 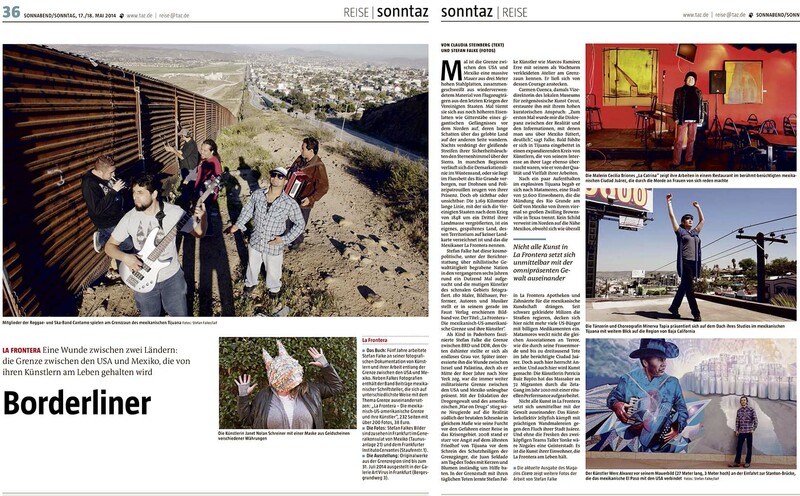 These artists from the border are featured: Libre Gutierrez /Tijuana, Efren De La Cruz /Mexicali,Alonso Delgadillo /Tijuana, Humberto Ramirez/Reynosa, Anna Cruz /Ciudad Juarez, Jellyfish Colectivo / Ciudad Juarez, Pablo Llana / Tijuana, Patricia Ruiz Bayon /Matamoros, Monica Lozano / Ciudad Juarez, Raechel Running / Aqua Prieta, Siki Carpio /Tijuana, and Tochirock Gallegos, Reynosa.— with Libre Gutierrez, Efren De La Cruz, Alonso Delgadillo, Humberto Jimenez, Anna Cruz,Jellyfish Colectivo, Pablo Llana, Siki Carpio,Tochiro Gallegos Fotografía, Tochirock Gallegos,Raechel Running and Monica Lozano. 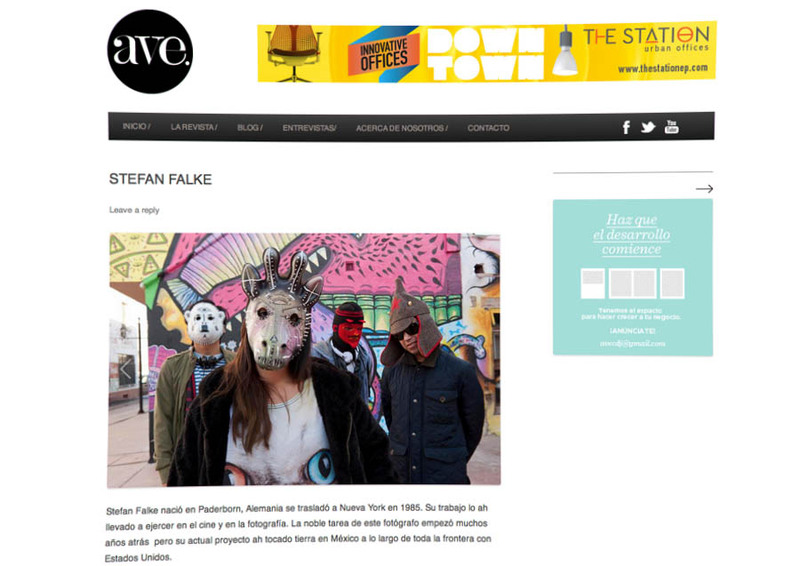 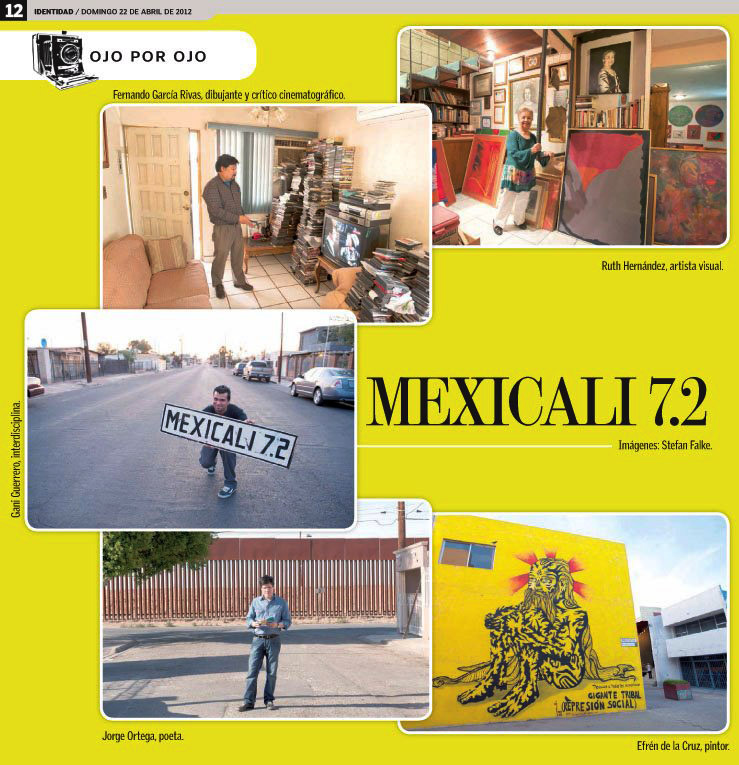 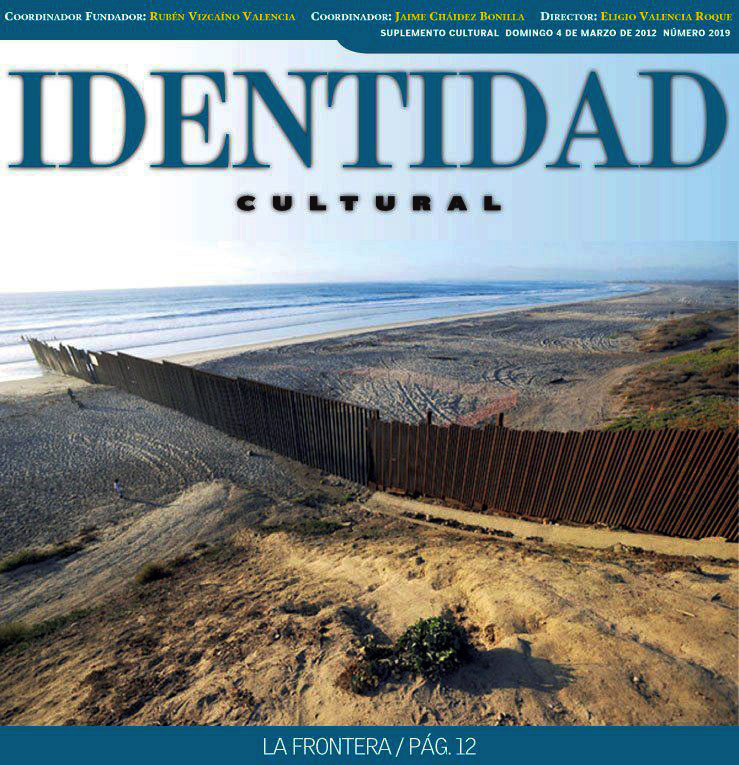 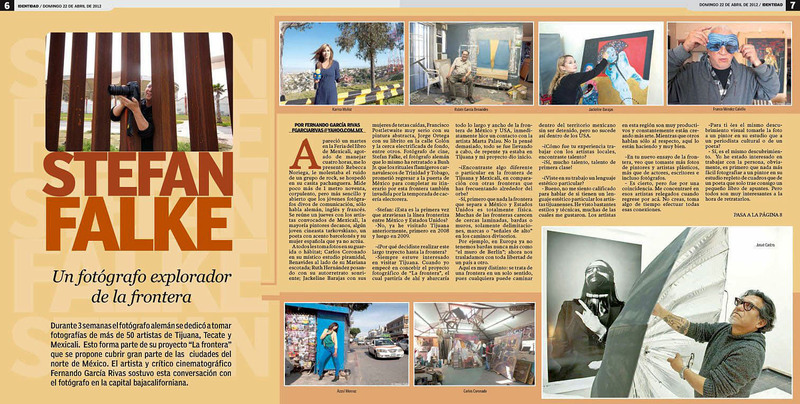 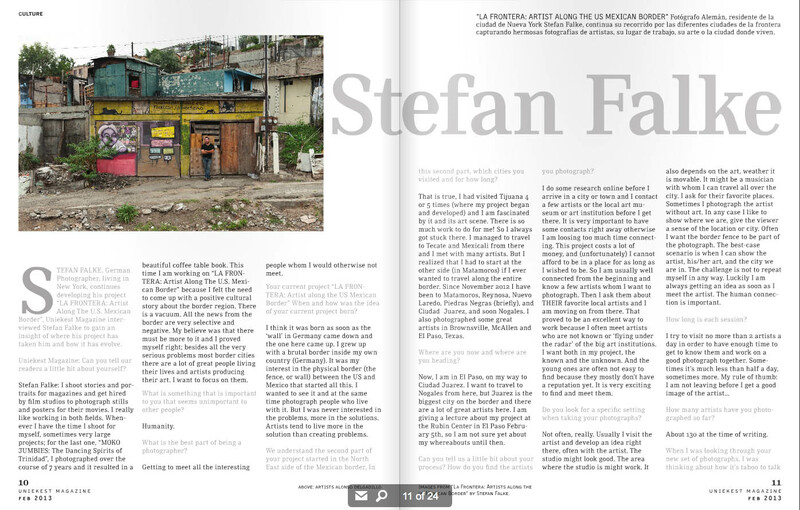 AVE magazine is published in Ciudad Juarez, Mexico. 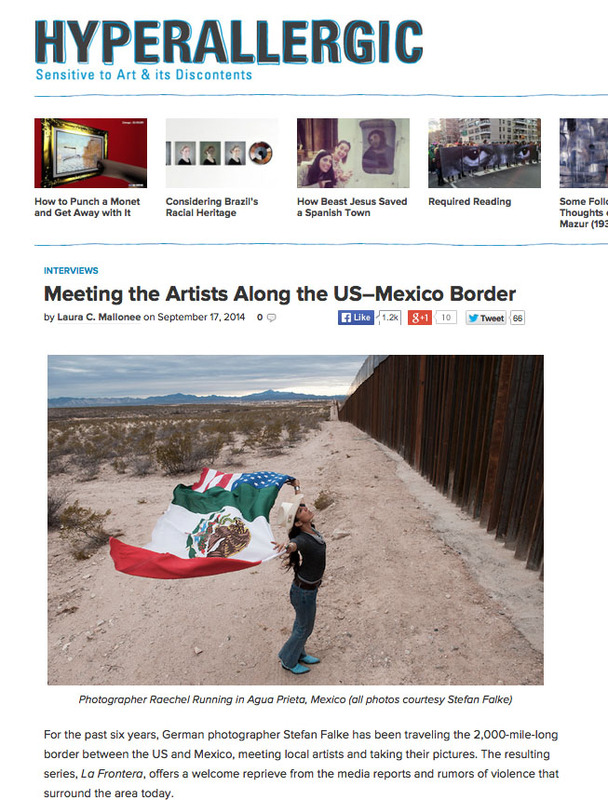 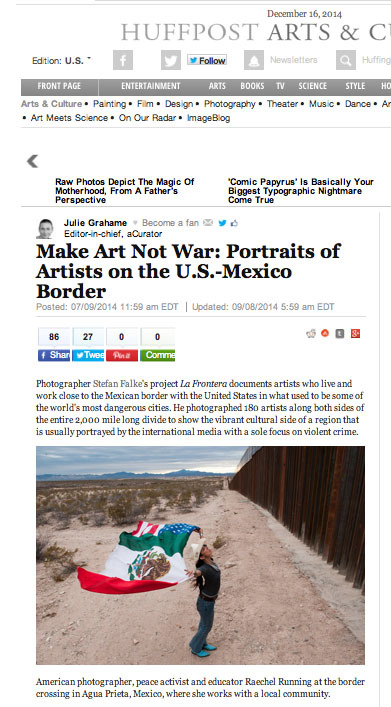 The magazine introduced my work and the borderartists webpage to the readers of it’s blog today.